Intello, whose first-crop yearlings have proved popular at the sales this autumn, will stand at Haras du Quesnay at an unchanged fee of €25,000 in 2017. The six-year-old son of Galileo stood at Cheveley Park Stud in Newmarket in 2014 and 2015 and covered 128 mares in his first season at the Head family's breeding base in Normandy this year. Intello, whose finest hour came with victory in the Prix du Jockey Club, has had 48 yearlings sell in Europe for an average of around £100,000 with a high of 300,000gns paid by Blandford Bloodstock for a half-brother to Seal Of Approval and by Shadwell for a colt out of Spacious. Motivator, sire of dual Prix de l'Arc de Triomphe heroine Treve, is the subject of a fee reduction to €10,000 from €15,000. 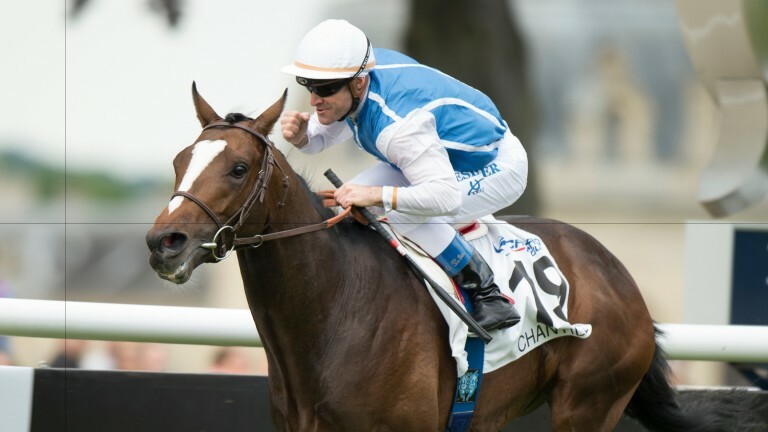 Anodin, a high-class son of late Quesnay kingpin sire Anabaa and a brother to Goldikova, remains at €7,500. His first crop are foals. The Quesnay roster for 2017 is completed by Dunkerque (€2,000), Fuisse (€2,500) and Youmzain (€4,000).